After staving off a lot of technical fouls and injuries, it has been an arduous season for the Golden State Warriors. It was seldom during the regular season that the Hampton Five would be complete. Coming into post season, Curry was still recuperating during the first games of the first round. The Western Conference Finals also tested the team with the Houston Rockets giving them the hardest fight ever. The series with the Houston took them to Game 7 in Texas and with Chris Paul injured and was not able to play in the game, they overpowered the Rockets. Come Finals time, they were the crowd favorites. Many experts believed that they will blow over the Cavaliers. This wasn't so as Lebron, who carried his team to the Finals, went God mode in Game 1. Almost winning the game in regulation, except for the blunder of JR Smith, this took the wind from Lebron. With the Warriors victory in game one, the team didn't waste anymore time and went on to sweep the Cavaliers 4-0. Ending the series in Cleveland, the Warriors settled for a quiet victory celebration. They were not in their home turf thus any celebrations was albeit small. The victory was hard fought as we looked at it, but it wasnt' against the Cavaliers, it was against themselves. 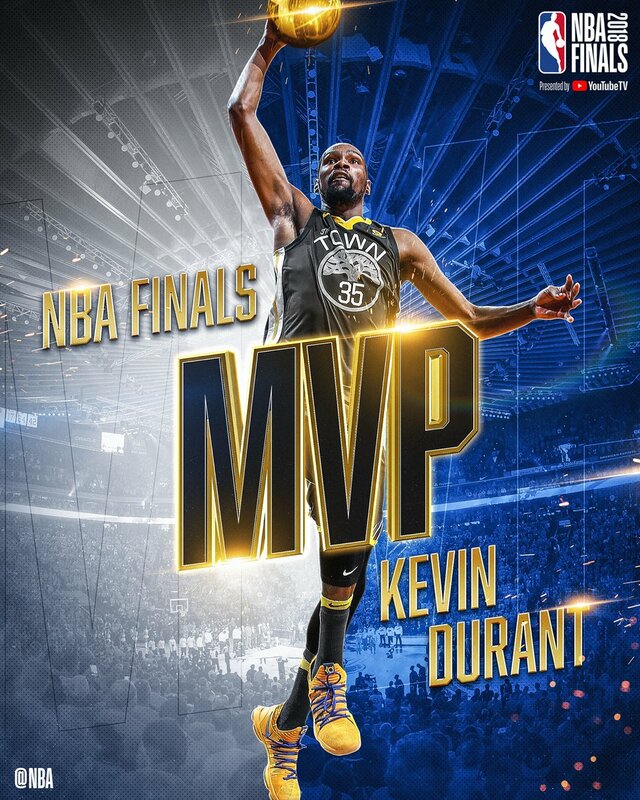 On another note, Kevin Durant went on to win his second MVP.